Recently as I was driving through a little New Hampshire town, I came across a house for sale. What struck me, of course, was the fact that the owner had devoted time and resources to create an English garden and now the garden had become an attractive feature for a potential buyer. As American gardeners, we still admire the English garden. 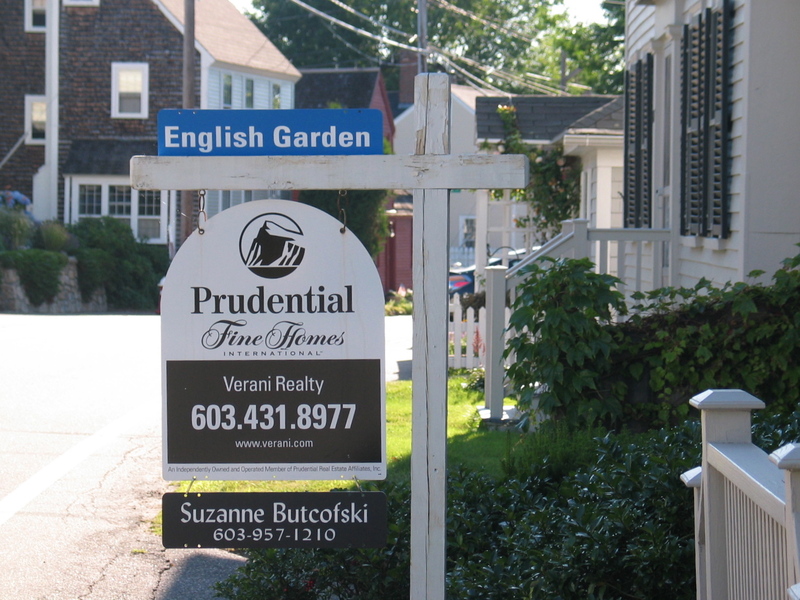 A real estate sign outside a house in New Hampshire. 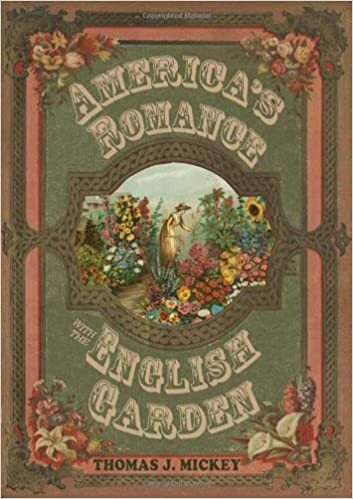 The nineteenth century seed and nursery catalogs, among several influences, did a great job of selling us the English garden. I drove by the house a couple of days ago and noticed that the real estate sign was gone. 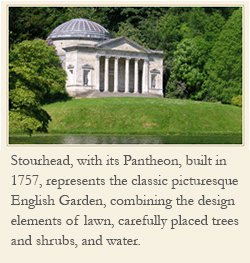 Perhaps the house now belongs to a new owner who also treasures the English garden.